A couple of years ago, before my 34th anniversary, I got a little white New Zealand rabbit as a present. It was love at first sight for me. However, back then, because I never had a close relationship with an animal before, I was only seeing him as a very cute and fragile creature that I should take care of. I had no idea that one day I will begin to love him as my own child and that he will completely change my life. I already knew that animals are intelligent and emotional beings. And as a psychologist, I can recognise these things objectively when I see them. But he was still a big surprise for me, because he was much more than I've expected. He taught me the most beautiful and important things I could learn - to live in the moment (like him), to be completely happy (laying on the floor next to him or holding my arms around him), to laugh with all my heart (at his antics), to play like a child (silly games, with him), to be compassionate (when he was ill), to be tolerant (about his little goofs), to see my own flaws and change them (when it was my fault), to make the best of me (to make him happy), to go beyond my limits (to save him, when I had to) and to love endlessly (as I love him). For me, he is the most perfect creature I have ever seen - and consider that I am a perfectionist. If I would have doubts that there is a God, I will only have to look at him. I also had the chance to have a Red New Zealand adult rabbit for a while and I think they are absolutely fabulous, too. Even if it seems to me that there are some little differences between the two breeds (the reds seem more active and maybe a little more confident) they both have a similar kind of energy (warm, bright and powerful) that melts my heart instantly. 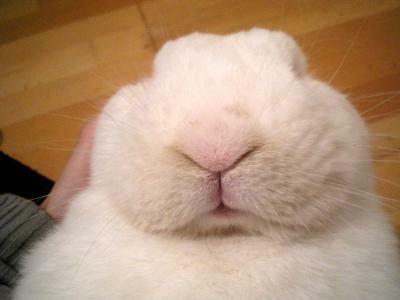 I wish I knew much sooner that such kinds of rabbits exist. I would have never spent a day without having one in my life. Wonderful! 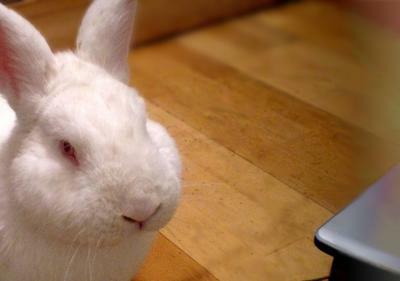 A great account about how animals, and especially rabbits, can bring healing to humans. Perhaps it is because in various ways listed by you, intelligent or not, they somehow model God’s unconditional love. This is also evident in dogs, “man’s best friend.” Animals are extremely valuable within our society and for our children. You’ve befriended and learned to love one delightful little New Zealand buck. I hope I do not hurt you or our visitors by bringing up a harsh threat to agriculture and to animal lovers everywhere – that people and groups exist that want to forbid anybody from keeping any animals, or rabbits, at all. 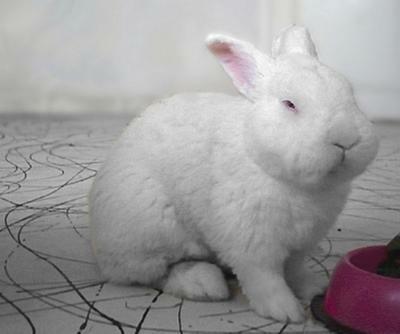 Regarding rabbits, they’re working hard to redefine all rabbits as pets, since they have a hard time seeing the role of predation throughout all levels of the ecosystem. But the end game for these animal rights groups is to remove animals entirely from human society. They call it ‘animal liberation,’ and if that happens, Codrina, you will be forbidden to have any more rabbits. 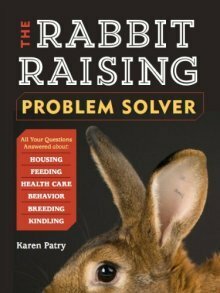 We at Raising-Rabbits.com strongly support a healthy balance between predation and pethood. 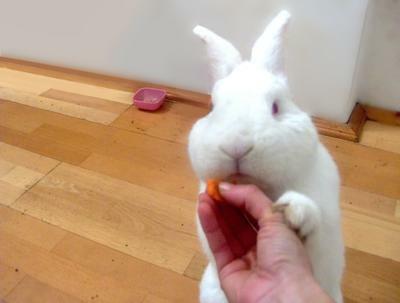 We dearly love our pet rabbits, but acknowledge that other rabbits serve other needs, some of those needs being to feed hungry people and animals. In the big picture, the rabbit species as a whole continues to grow and thrive, thanks to pets, rabbit breeders and predation.